The Swan River and Perth would, on face value, be thought to be thoroughly interlinked. Most people that live in Perth if asked “What does the river mean to Perth?” would probably reply in the same manner. It is at the heart of Perth and shapes the city. The river is iconic and intrinsic to what is perceived when Perth is discussed. This is, of course, all true. You just have to look at the first images that come up when you google Perth (figure 1). Figure 1 JJ Harrison, Perth skyline from Kings Park, 2012, JPEG, accessed June 1, 2018, https://commons.wikimedia.org/w/index.php?curid=18801512. The Swan River and the Perth are synonymous and are usually together in images. The Swan River is often used to frame the city centre. There is a natural connection that people associate that the Swan has with the city. If you then ask the same people how often they visit the river however one in two Perth residents visit the river no more than once a month. What Colin was describing at the time was the physical divide that a series of open connected areas that separated the CBD and the Swan River (figure 2). As can be seen from this image from 2012 is that the freeway interchange connected to the Narrows bridge, the Esplanade, Supreme Court Gardens and Langley Park acted as a divide between the Swan River and Perth. 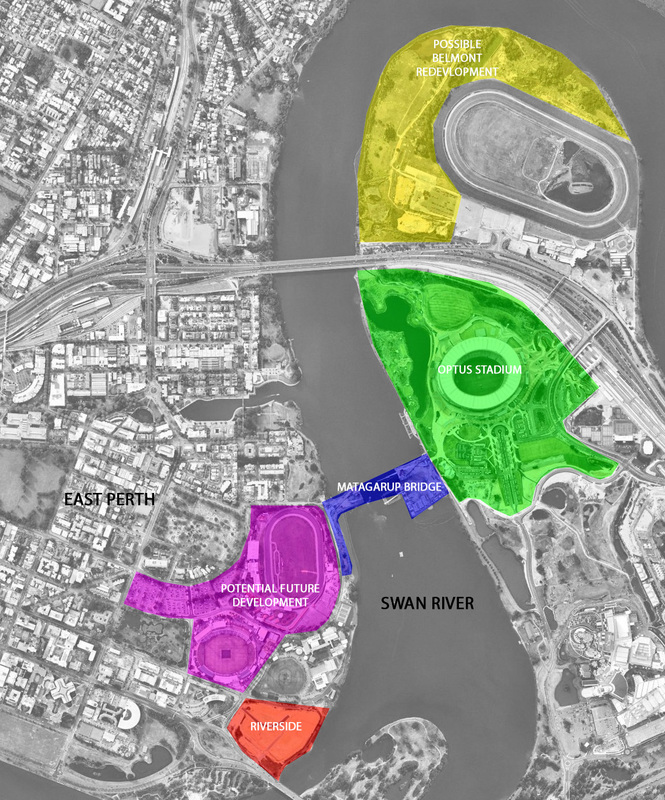 Figure 2 The layout of Perth’s Swan River foreshore in 2012. With this physical divide between the river and the city, in 2012, there was a real correlatable influence that the separation had on the ability for the city to connect to the river. People would have had to make a conscious choice to go to the river from the city and they would have needed to travel a significant distance to get there on foot. This solution did receive some opposition. The issue that confronted the Perth Waterfront design team was that the vision was being wrought from a typically unused, but nonetheless deeply symbolic slice of public open space. The reason that some resisted any changes was because some saw these public spaces as garden spaces that should belong to the whole community; an Arcadian view that the areas should be preserved as part of a larger garden green space in the centre of Perth. This argument is countered with the opposing view that since these spaces are rarely used. They are better off being redeveloped as part of a solution to reconnect the riverfront and the city together again. That these areas are located in a significant location and that their value as just ‘green spaces’ wasn’t sufficient to maintain the status quo. Figure 4 The layout of Perth’s Swan River foreshore in 2018. When the Circle Scheme changed into Elizabeth Quay a number of questions were raised about some of the cut features and who this was actually being built for. A staple of the original proposal was an indigenous cultural centre. It was cut from the ‘updated’ quay design whereas the commercial sites remained similar. With such a large area for commercial space surrounding the public space, the quay risks becoming a place for only those who can afford it. This is in part justified. The buildings on the quay would require deep piling due to reclaimed ground’s tendency to subside. The significant cost of these works would subsequently have entailed the building of tall buildings to cover the expense. Looking at a cost perspective the choices made seem justified. The cost of building would be expensive and removing the cultural centre would have helped bring down the cost of the project. Do these costs weigh up when you consider the cultural and social implications of these changes? Consider the role that these open spaces provided previously. There is a definite shift in the use of the land. Whereas previously the Esplanade was exclusively part of the public domain the quay replacing it would be extensively private commercial space. Considering the day to day use the public spaces left seem to be aimed at the tourist rather than the local community. When viewed broadly Elizabeth Quay seems less about the connecting Perth back to the river but rather creating an iconic ‘face’ that fits in with the what people now expect to see in a progressive city. The lack of any dedicated cultural building for the public indicates a shift in direction the project took. While it does connect Perth back to the Swan River it lacks any social identity that ties it and would make it unique, to Perth. It is a ‘face’ that could be from any city in the world on a river. 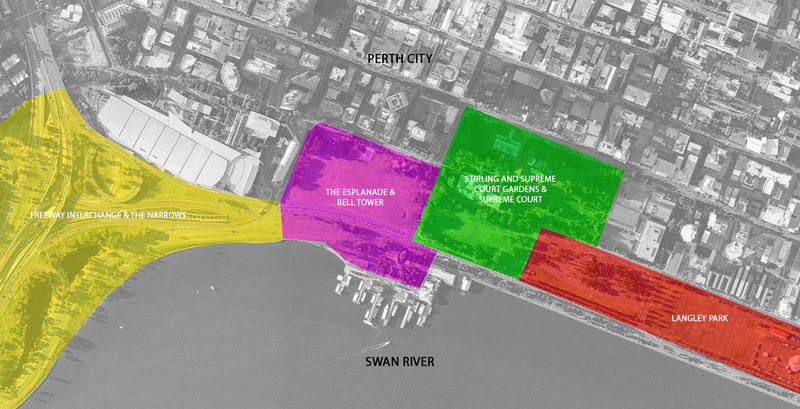 Figure 5 Recent and possible redevelopments along the Swan River adjacent to East Perth. Figure 6 Andrew Caneppele, “View of Optus Stadium,” 2018, JPEG. Figure 7 Andrew Caneppele, “Matagarup Bridge under construction,” 2018, JPEG. A significant number of changes in recent years have been occurring on another length of the Swan River. Further upstream the stretch of the Swan River that is bounded by East Perth and Burswood has seen a number of redevelopments along the banks of the river (figure 5). The largest redevelopment is the building of Optus stadium (figure 6) and its associated infrastructure. 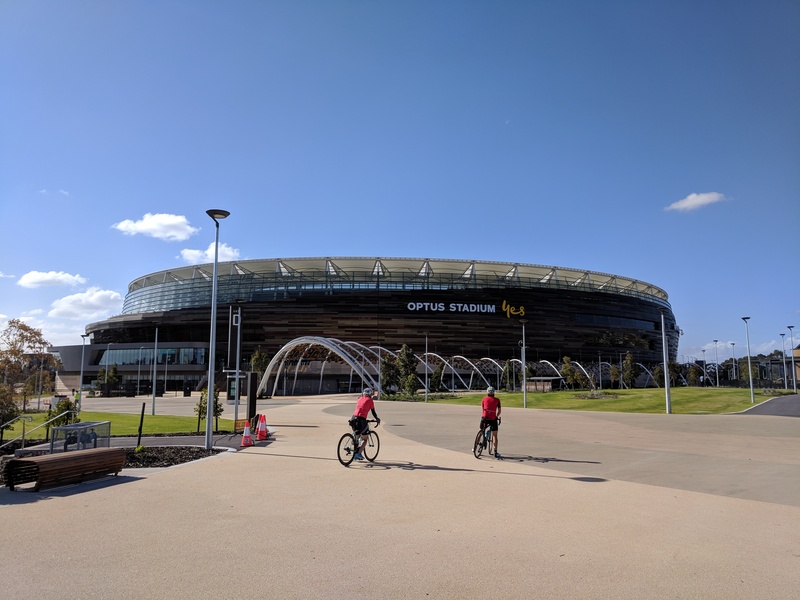 The Matagarup Bridge (figure 7) is also being built to provide a pedestrian-only access from East Perth to Optus Stadium, as part of the infrastructure to service Optus Stadium. The Riverside development to the south of the WACA, along the river frontage, has also been started recently. Similar plans are in the works for the river frontage around Belmont racecourse. With all these developments there will be a significant increase in the interaction that the public will have with this part of the Swan River. What is different from the Esplanade to here is that there has been little or no alteration to the edge of the river at this location. The banks, in places, are completely natural. The reclamation that happened at the Esplanade occurred when local ecology was far less understood. Here the ecology can be persevered and protected through better and proper design processes. Development along this part of the river will likely occur piecemeal. Each redevelopment group following their own interests with little regard to how they interact with one another. Each will shape their bit of riverfront to how they think it best suits them. There is a public perception that the river belongs to the community. It is fostered from the unique arrangement Perth has with its public spaces. Along both the Swan River and the ocean the boundary between the two has mostly always been public space. It is an unconscious expectation that this will remain so. What comes into question with the new redevelopments around this section of the river is if this will continue and if so in what manner. There is a saying ‘Those who cannot remember the past are doomed to repeat it.’ It seems applicable here. As more redevelopments occur along the Swan River it becomes more and more evident that there needs to be a new authority that considers the interactions between city and river. There is a need for greater accountability to ensure that anything built fits within the context of the river and provides desired outcomes. 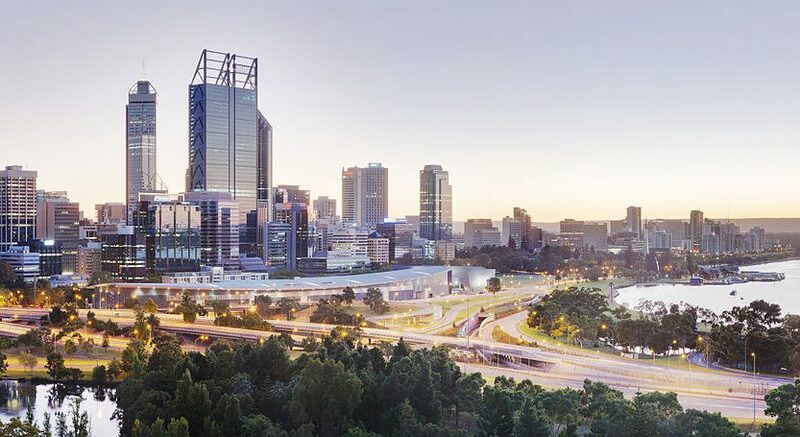 There is a risk that in allowing each landowner, despite their best intentions, to redevelop around the Swan River to make the same mistakes as those that have been made in the past. While I hope this would most likely not be the case all the time. As Bolleter argues that a new Authority should be incepted that can override and guide the current various Local Authorities through these redevelopments and provide a bigger picture to work towards could better provide better outcomes for the Swan River and Perth. As Perth starts to engage with the Swan River to a greater extent the unique qualities of the river can provide many benefits to the community. However, this impact could come at a price. The fragility of the river is apparent now, never mind with further redevelopment along its foreshores. A new Authority could not only prevent unintended damage to the river but also help create a new identity for Perth. One that engages the river and properly brings it, the City and the people together in a meaningful manner. Swan River Trust, “Community Survey of the Future Values and Aspirations for the Swan and Canning Rivers,” Swan River Trust, Perth, 2007, p. 21. Jade Jurewicz, “Elizabeth Quay will end Perth’s ‘Dullsville’ tag: Colin Barnett,” perthnow, January 16, 2015, https://www.perthnow.com.au/news/wa/elizabeth-quay-will-end-perths-dullsville-tag-colin-barnett-ng-fa73a3a687eb0ce9a0af263efe888f66. 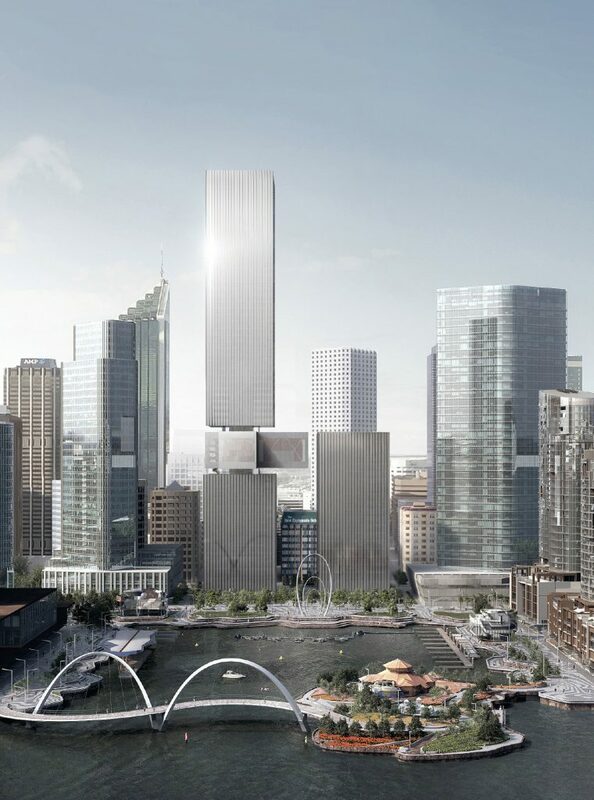 MRA, “Elizabeth Quay,” accessed June 2, 2018, https://www.mra.wa.gov.au/projects-and-places/elizabeth-quay/vision/planning-approvals. Julian Bolleter, Take me to the River: The Story of Perth’s Foreshore (Crawley, Western Australia: UWA Publishing, 2015), chap. 4, https://www.kobo.com/au/en/ebook/take-me-to-the-river-3. Stephen Bevis, “Indigenous centre still part of the plan,” The West Australian, January 2, 2013, https://thewest.com.au/entertainment/art/indigenous-centre-still-part-of-plan-ng-ya-342313. 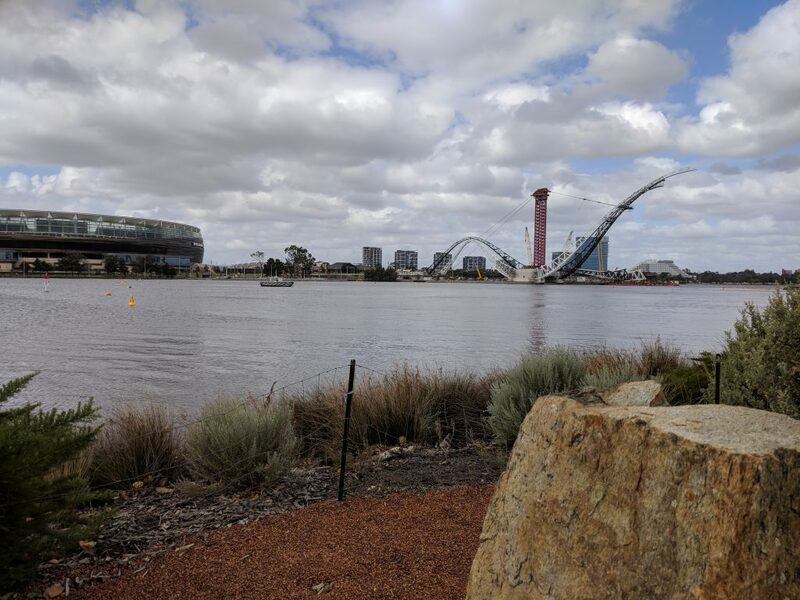 Optus Stadium, “Matagarup Bridge Project Overview,” accessed May 30, 2018, https://optusstadium.com.au/factsheets/swan-river-pedestrian-bridge-project-overview/. MRA, “Vision,” accessed May 30, 2018, https://www.mra.wa.gov.au/projects-and-places/riverside/vision. Kate Emery, “Golden Group to confirm go-ahead for $3.8 billion precinct beside Belmont Park racecourse,” The West Australian, May 1, 2018, https://thewest.com.au/news/wa/golden-group-to-confirm-go-ahead-for-38-billion-precinct-beside-belmont-park-racecourse-ng-b88819528z. UWA architecture student studying for a Master of Architecture in Perth, Western Australia.